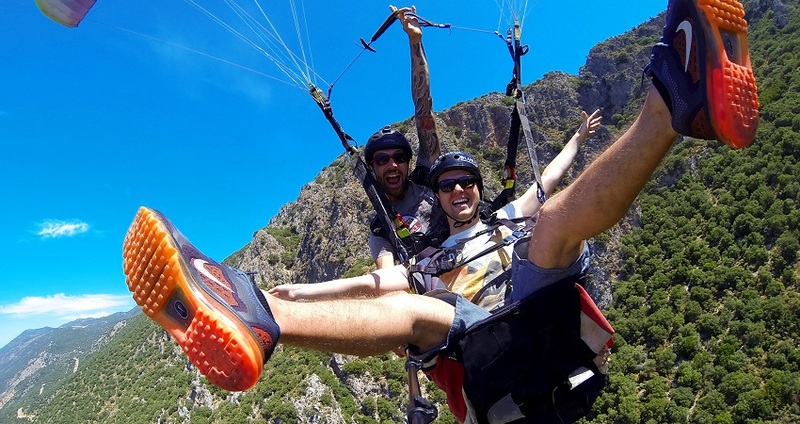 If you want to add a new and exciting experiences to your vacation in lovely Sarigerme, and if you are a fan of adrenaline rushes and thrills, then our Sarigerme Paragliding tour is the perfect tour for you. This tour probably sounds perilous to those inexperienced among you, but there is no reason to worry whatsoever. 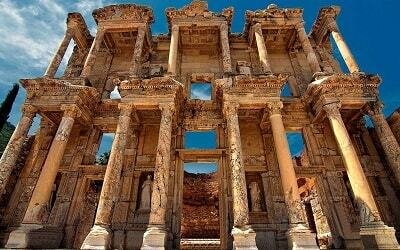 Once you opt to take this great adventure with us, our driver will pick you up in front of your accommodation in Sarigerme and take you to Fethiye Babadag Mountain. There you will be welcomed by our trained professionals. 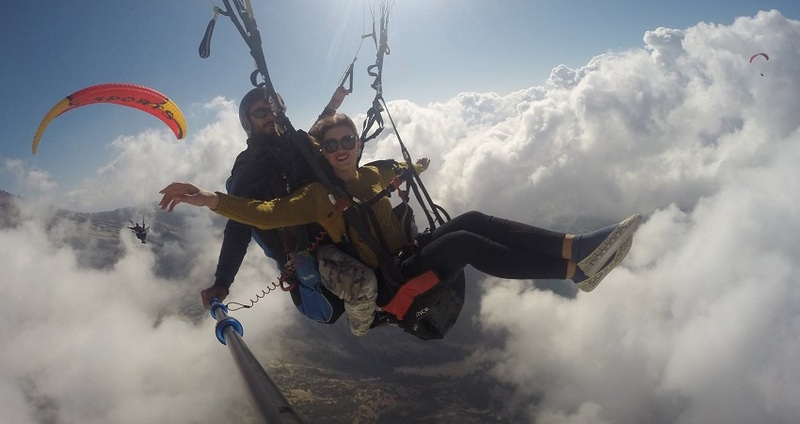 They will prepare you for your upcoming adventure and tell you more about the basics of paragliding and what to expect on this exciting tour. 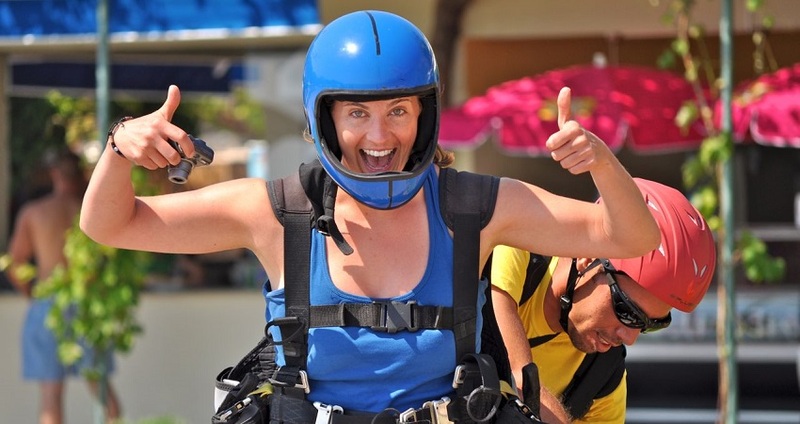 You will have the pleasure of tandem paragliding with one of the experienced and skillful pilots, whose biggest concern is your safety. Keeping that in mind, you will be able to completely relax and enjoy this unique experience to its fullest. 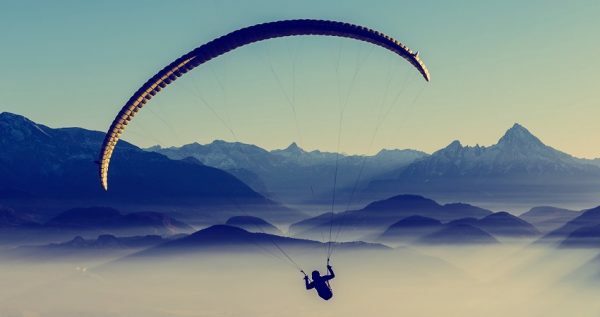 The paragliding itself lasts between 25 and 45 minutes, depending on the weather conditions. Babadag Mountain is conveniently located near Oludeniz beach and Hisaronu bay, and it is among the highest commercial departure sites in the world. 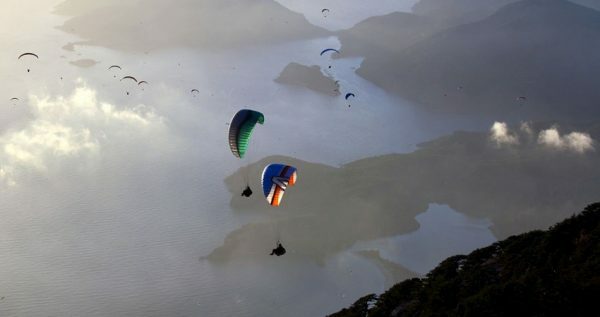 The location is perfect for tandem paragliding, as you will get to see one of the most beautiful panoramas in the world. 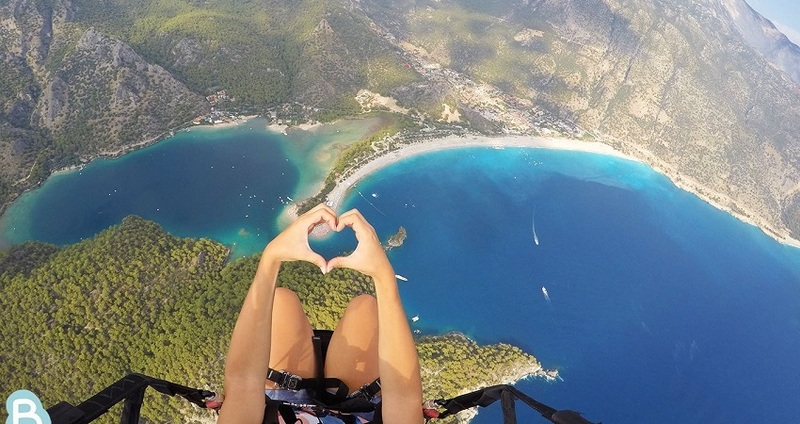 Paragliding is considered an extreme sport, but a safe one nonetheless. Approximately 100,000 people try paragliding every year. 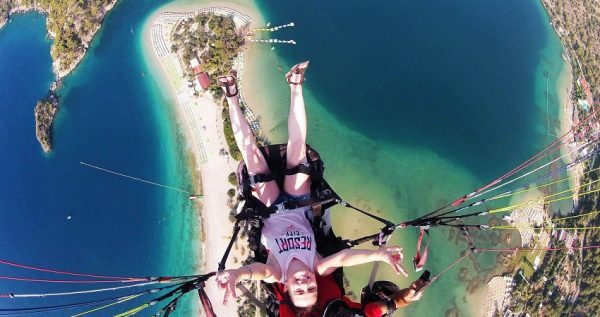 If you want to experience this thrilling adventure, you should leave your mobile phones and accessories before take-off, as they could fall and injure the people who are sunbathing on the beach. 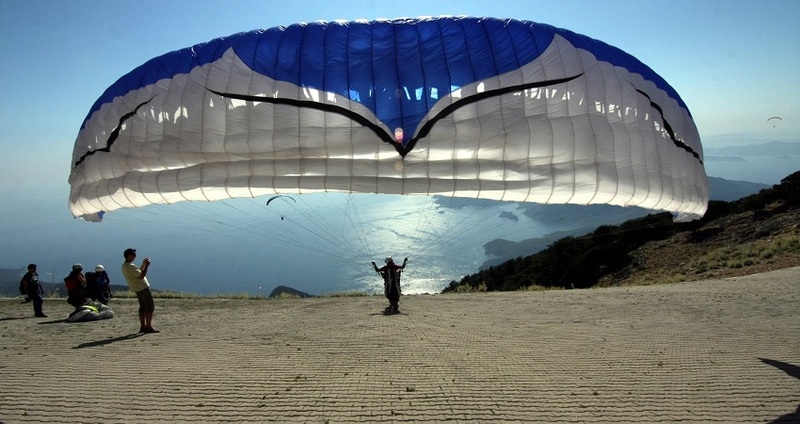 There are also some requirements when it comes to weight of the potential paragliders. For women, maximum body weight is 90 kilograms, and for men the maximum is 110 kilograms. We should also note that there are cameras attached to each parachute, so you will be able to take videos and photographs if you want. As far as age limit is concerned, all children above the age of 4 can be part of this adventure. However, this tour can be risky for pregnant women, as they could experience a panic attack while flying. If you want to have an adventure of a lifetime and an unforgettable vacation, book your own spot on the great paragliding tour from Sarigerme. Please notice that Sarigerme Paragliding flight may be cancelled due to the bad weather conditions. In this case your flight is cancelled, you will get full refund or we can reschedule it for the closest possible date. 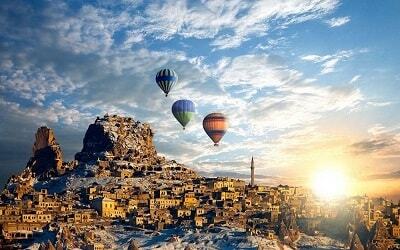 If you like to visit natural beauties around Sarigerme, Sarigerme Pamukkale Tour might be also interesting for you. 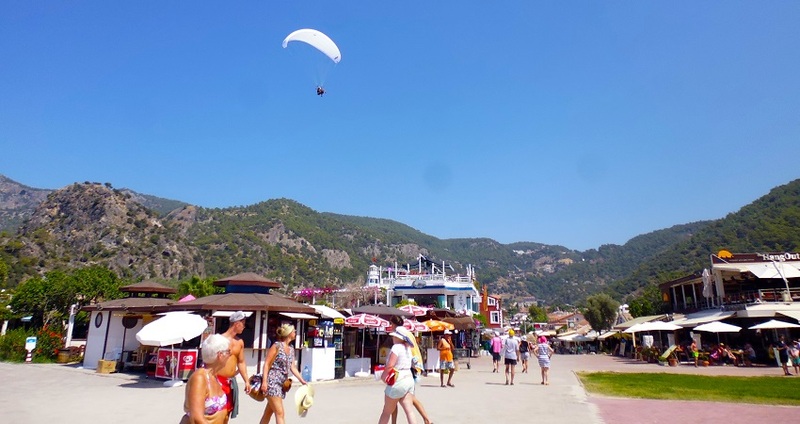 Sarigerme Paragliding Tour starts with a complementary pick up in front of your accommodation in Sarigerme, followed by a cozy drive to the Fethiye Babadag mountain. 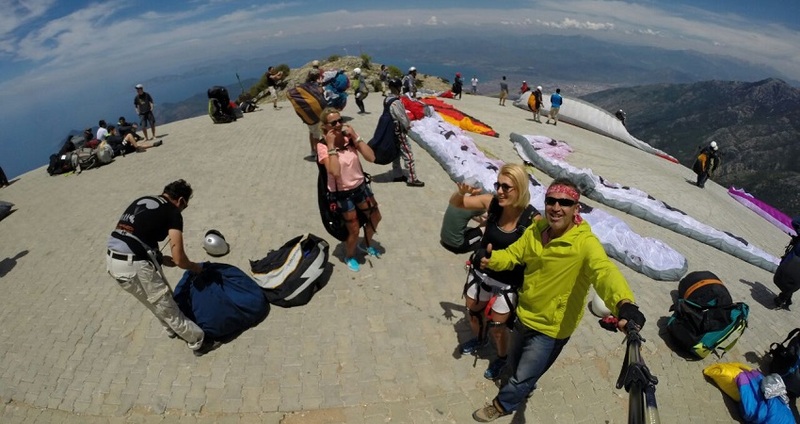 Once we reach Babadag mountain, we will meet with the professional pilots who will explain the basics of paragliding, as well as some important things about the upcoming tour. They will give you some information about the paraglider, which is basically a free-flying aircraft that gets launched by foot. The mountain itself is located close to the gorgeous Oludeniz beach and Hisaronu bay. 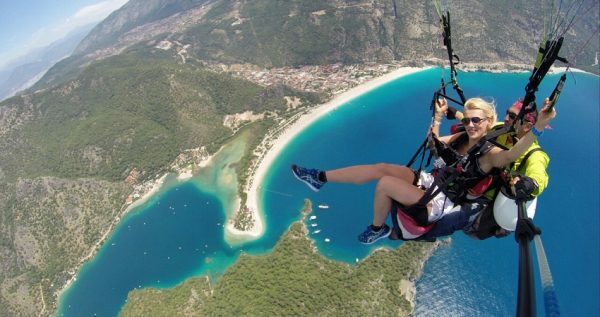 The paragliding height is approximately 1,960 meters, and you will be able to witness some terrific panoramic views. You will be tandem flying with one of the experienced and skilled pilots, so you don’t have to worry about anything. Your safety is your accompanying pilot’s biggest concern. 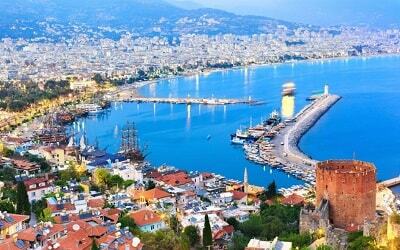 You will fly over beaches and waters, and you will get to enjoy a vibrant view of the colorful world beneath you. The paragliding itself lasts from 25 to 45 minutes. 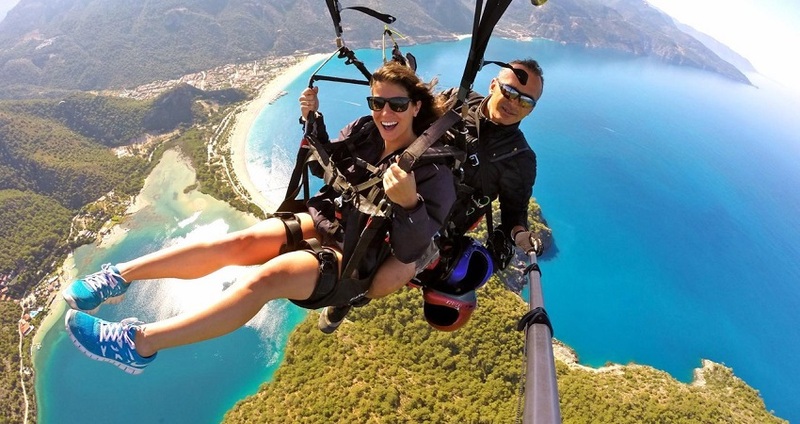 Every paraglider has a camera attached to it, so you will get to record and photograph your escapade and later choose the videos and picture you want to take home with you. We should note that pictures and DVDs are not included in our tour price, so you will have to pay an extra fee if you want to buy them. We use Belcekiz beach as a landing site. This lovely beach is both wide and long, and that is exactly why we chose it. 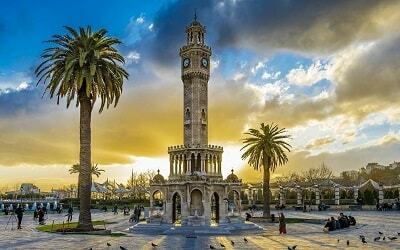 After landing, you will be picked up by our driver and taken back to your accommodation in Sarigerme. Hotel transfers are included in the primary tour price of Sarigerme Paragliding Tour, so they won’t be charged additionally.